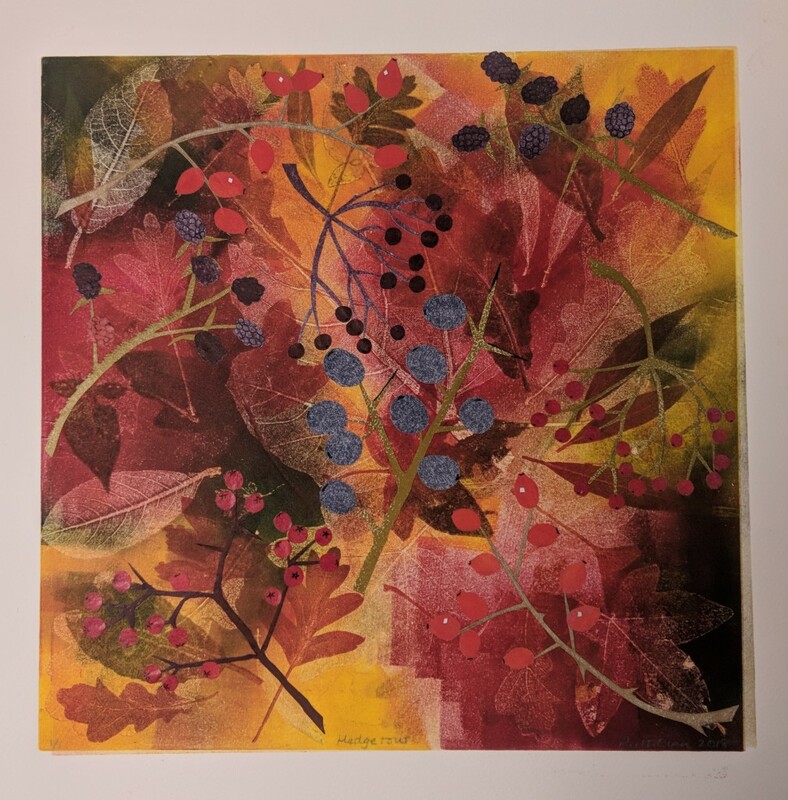 Having embarked on the series of prints inspired by Winterreise I had to turn my attention in early spring to an exhibition at The Exchange Gallery Saffron Walden. I had applied to exhibit there hoping to get a date later in the year but May came up so I needed to somehow acquire enough work for a show of twenty or so prints that hadn’t been exhibited there previously, contained some new pieces and also worked together as a group. I decided that a seasonal theme was the answer and was pleased to find a good body of work that hung well together. It was obvious that over the years when I have worked in response to drama, poetry and music I have instinctively used the natural world as my source material. I realised I needed about six new pieces to make a coherent whole and that was manageable in the time.The result is the Turning Year, the title a play on the cyclical nature of the seasons and also the action of my press. All prints in the exhibition are now on the website in the Turning Year Gallery. I hope you enjoy them.